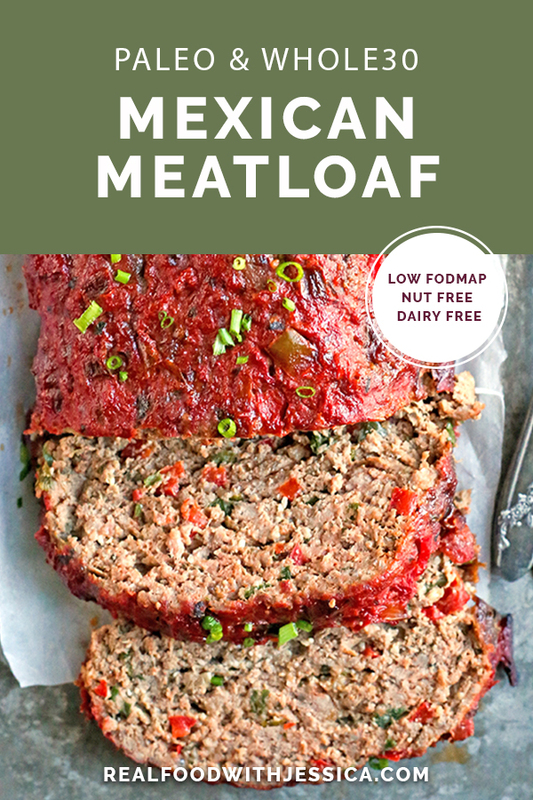 This Paleo Whole30 Mexican Meatloaf is easy to make and so flavorful. 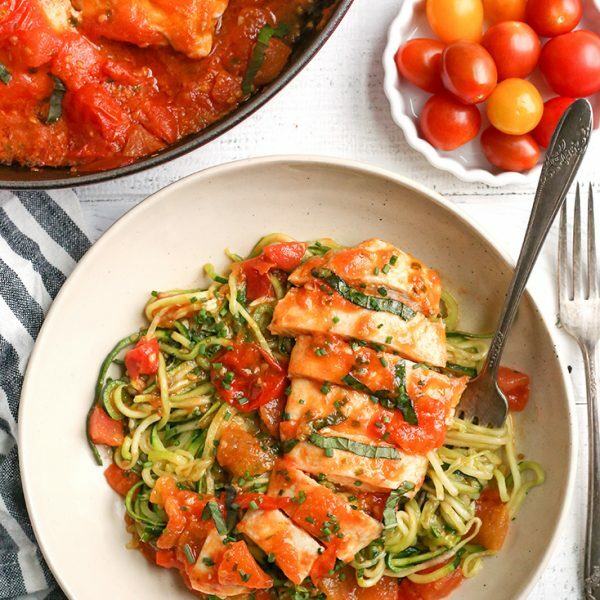 A healthy, hearty dinner that is low FODMAP, gluten free, dairy free, and low carb. 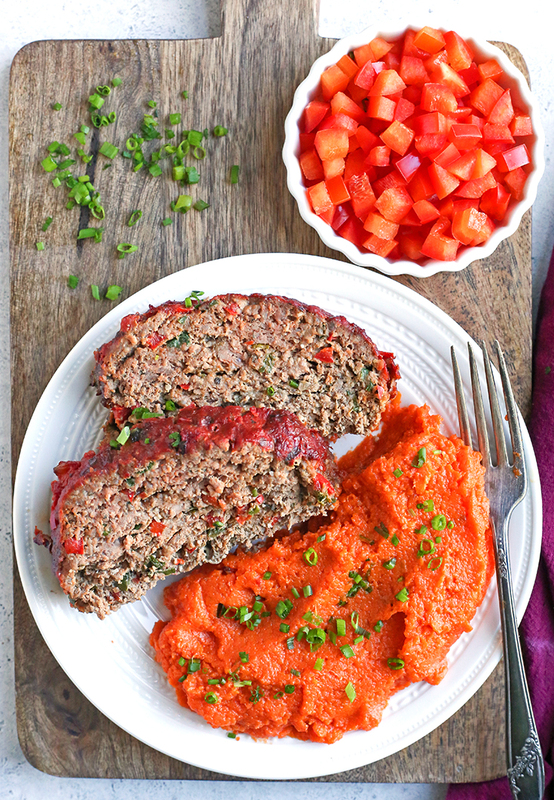 I am long overdue for sharing a meatloaf recipe and I’m so excited for this one! It has some Mexican flavors from the salsa and also the seasonings. 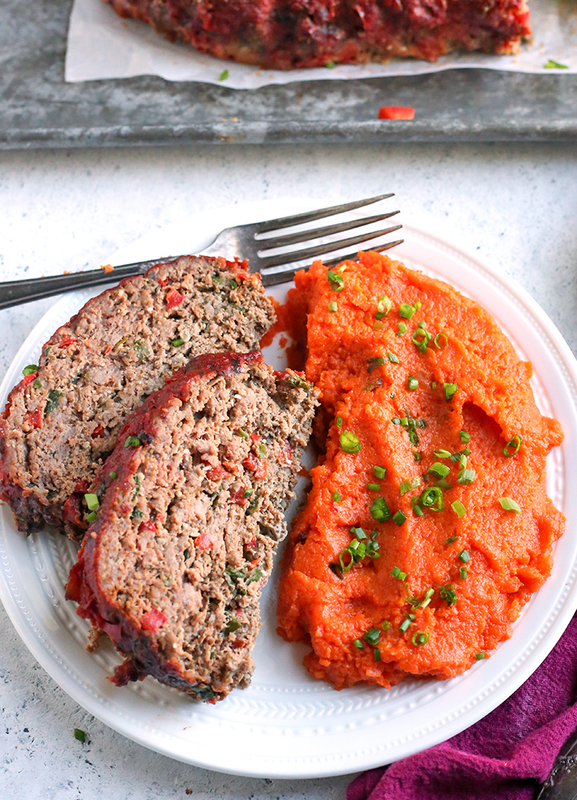 It’s a nice way to change up the traditional meatloaf and I think you’ll love it. I thought my salsa days were over once going low FODMAP since garlic and onion are the base of every recipe. Then I discovered Fody low FODMAP salsa and got so excited! This isn’t sponsored at all, I’m just sharing because it’s what I use and love. I don’t expect you to use this if you don’t need to, but if you are looking for a good low FODMAP salsa, this is it. And it happens to be Whole30 compliant. Yay! 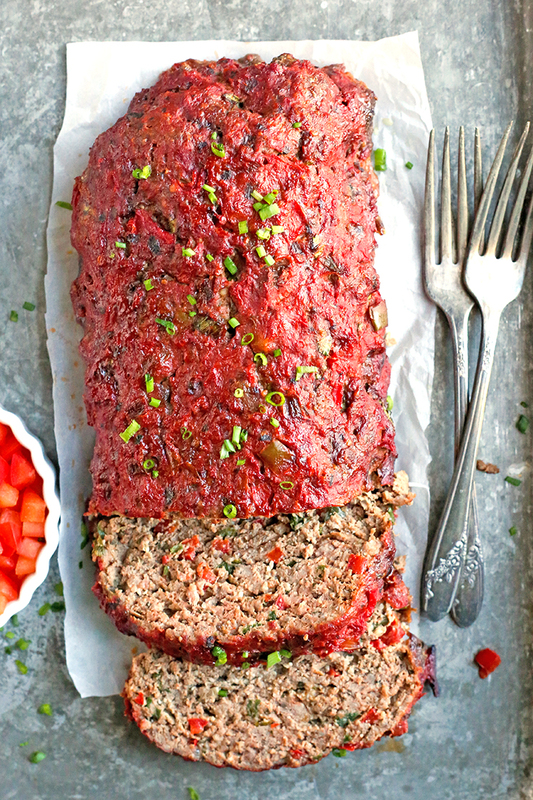 Sunflower seed flour is used as the binder in this meatloaf making it nut free and perfect for anyone with an allergy or sensitivity. You can definitely use almond flour if that’s what you have and like. We tolerate sunflower seeds better so I like to blend them up to make a flour and use it. It’s also available on Amazon, but making your own is much more affordable. 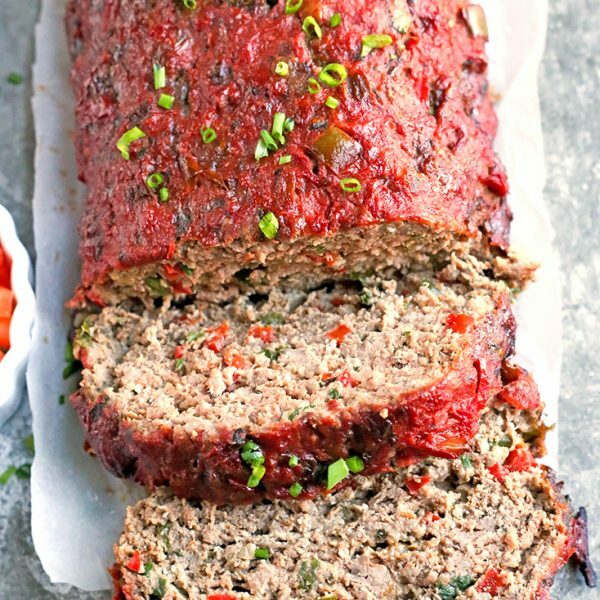 This meatloaf if so easy to make. It does take a little time to bake so it’s great for making on the weekend or mixing everything ahead of time so it’s ready to bake quickly the night you make it. I served it with some mashed carrots, but mashed potatoes would also be good or roasted sweet potatoes. 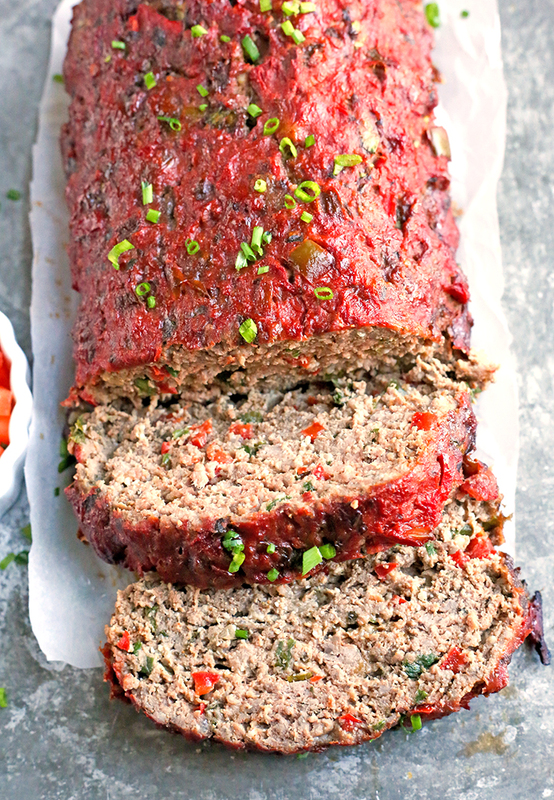 This meatloaf if moist, flavorful and so delicous! 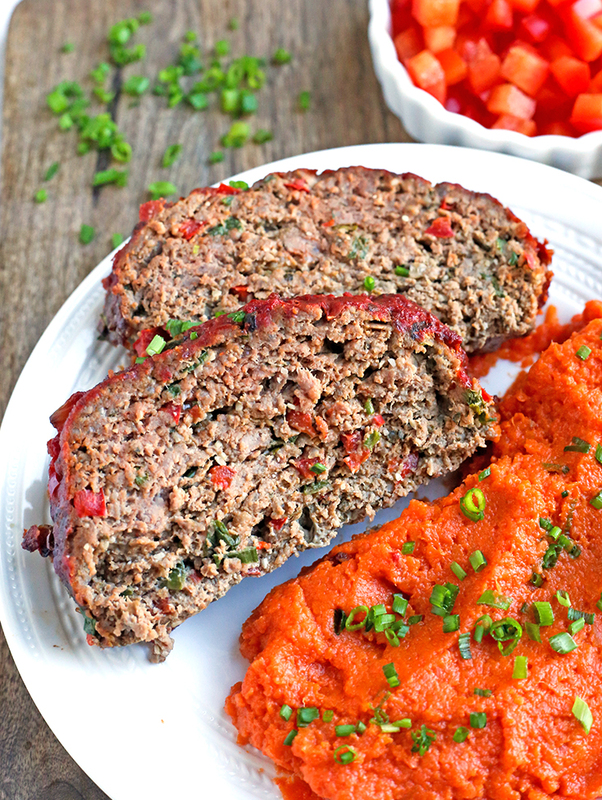 Here is my much loved Paleo Whole30 Meatloaf that you may enjoy. Preheat the oven to 375° and line a sheet tray with a rim with parchment paper. Set aside. Place the beef in a large bowl. Cook the red pepper and 1/2 teaspoon of salt in the garlic oil over medium heat until soft- about 5-7 minutes. Add it to the beef. While the red pepper is cooking you can add the rest of the ingredients to the bowl. Add in the eggs, salsa, sunflower seed flour, green onion, cilantro (if using), cumin, paprika, oregano, and salt. Mix well until everything is well combined. Place on the prepared sheet tray and shape into a loaf that is 10.5x6 inches. Top with the remaining 1/2 cup of salsa and bake until the center is 160 degrees, about 50-55 minutes. *Use whatever salsa you want if not needing low FODMAP, just be sure to double check ingredients to make sure they are Whole30 compliant if needed. Use almond flour if not needing it to be nut free. 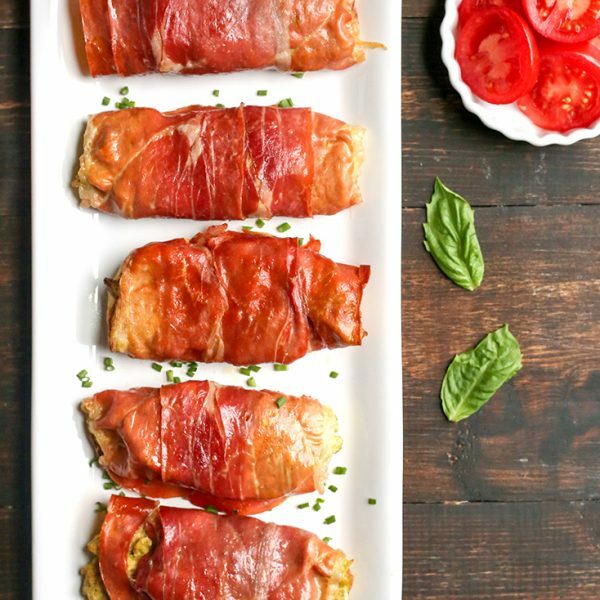 You can also use garlic powder and use avocado oil instead of garlic oil. You’re welcome, Kara! 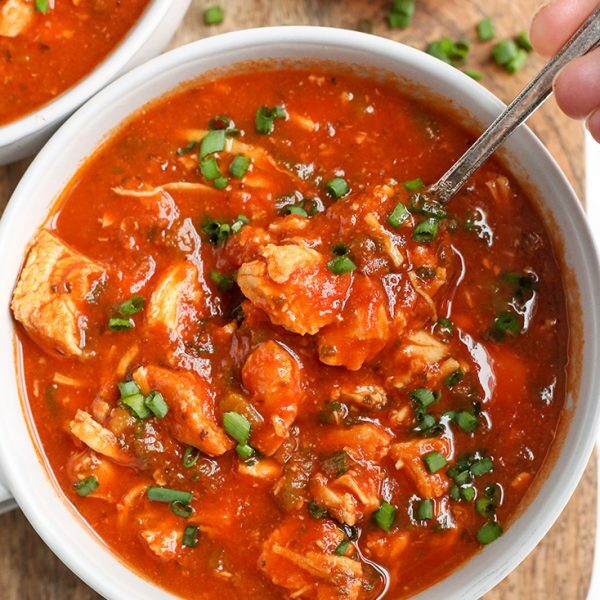 I’m glad you like my recipes and hope you like this one!